What Exactly is a Branded Title? “What Exactly is a Branded Title?” — AutoSource Spokesperson Troy Dunn gets asked all the time, “What exactly is a Branded Title?”. Instead of explaining how a car gets a Branded Title, Troy explains that most people want to know what an AutoSource Branded Title looks like after the reconditioning process! Take a look! AutoSource | What Exactly is a Branded Title? “What Exactly is a Branded Title?” — Troy Dunn gets down to what you really want to know about Branded Title vehicles. Hi, Troy Dunn here. As the national spokesperson for AutoSource, I frequently get asked the same question over and over, “Hey Troy, what exactly is a branded title vehicle?”. And I used to go through the whole explanation, about how it’s a vehicle that has had an insurance incident for things like Flood, or Hail, or Collision, or theft, etcetera. But I’ve come to realize something, that’s not really what most people want to know. 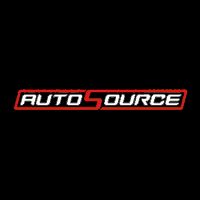 What they want to know is what does a branded title car, truck, van or SUV look like after the AutoSource team repairs, reconditions, and then inspects that vehicle. And to those people, I simply now say, check this out! Yep, that is why tens of thousands of people love AutoSource. 0 comment(s) so far on What Exactly is a Branded Title?